NEWKIRK — Kaw Gaming Incorporated will present a check for $11,065 to the Kaw City Fire Department on Tuesday at the Kaw SouthWind Casino Newkirk. 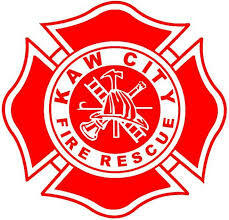 The donation will be used to help purchase five full bunker sets, a safety concern of the Kaw City Fire Department. “We feel it is important to support our local fire department,” Warren said.